Show your audience what a big heart you have! This famous Heart is made of rock… and guitars, and drums and the voices of two awesome front women. Ann and Nancy Wilson, the first ladies of rock, continue to bring their musical talent and great songwriting to audiences everywhere. The rock music of Heart has sold over 35 million records worldwide, had twenty Top 40 singles, seven Top 10 albums and four Grammy nominations. Heart achieved Top 10 albums on the Billboard charts in the 1970s, 1980s, 1990s, and 2010s, with charted singles during each decade. Their successes over four decades make them the longest span of producing Top 10 albums by a female fronted band. They have become part of the soundtrack of American life through radio, film, television, and branded sponsors. Songs that were made famous by Heart can be heard in almost every aspect of contemporary culture. Heart beat up the charts in the ‘70’s with hits like “Crazy on You,” “Magic Man,” “Barracuda,” “Straight On,” and many more. The Wilson sisters are first women in rock to lead the band, write the songs, and skillfully play their own instruments at the same time. Topping the charts throughout the ‘80’s and ‘90’s further proved the sisters’ enormous talents as musicians, singers and songwriters. As individuals, the sisters have been successful in other musical endeavors as well. Ann contributed her voice to songs that were successes and movie theme songs such as “Almost Paradise” from Footloose, “Best Man in the World” from The Golden Child, and “Surrender to Me” from Tequila Sunrise. Nancy composed and performed the scores to many motion pictures including the award winning Jerry Maguire and Almost Famous. The Wilson sisters were influenced by hard rock and heavy metal as well as folk music. Heart can be considered as one of the most commercially enduring hard rock bands in history. One of their best characteristics is their diversity in music styles. Throughout their history they have been labeled as Hard Rock, Folk, Easy Listening, Heavy Metal, and Adult Contemporary – many times demonstrating two or more of these styles on the same album. CBS televised the annual Kennedy Center Honors on December 26, 2012. Ann and Nancy Wilson were asked to perform as tribute to Led Zeppelin for the event. The Wilson sisters, along with Jason Bonham (son of the late Led Zeppelin drummer John Bonham) performed a version of Zeppelin’s signature tune “Stairway to Heaven” complete with two choirs and an orchestra. Their version of the song brought forth tears of joy from Robert Plant as well as a standing ovation from the audience. A video released of the performance became popular on YouTube, garnering over 4 million hits. This prompted the Kennedy Center to issue a limited edition iTunes single of the performance and even though the single was only available for 2 weeks, it immediately hit number 1 on iTunes Rock Singles Chart and reached the rank of 20 on Billboard’s Hot Rock Songs chart. 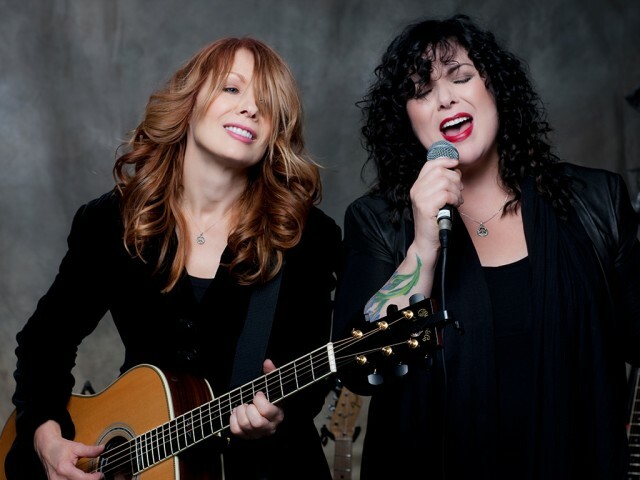 2013 Rock and Roll Hall of Fame inductees, Ann and Nancy have proved to the World that women can rock – and they still do! 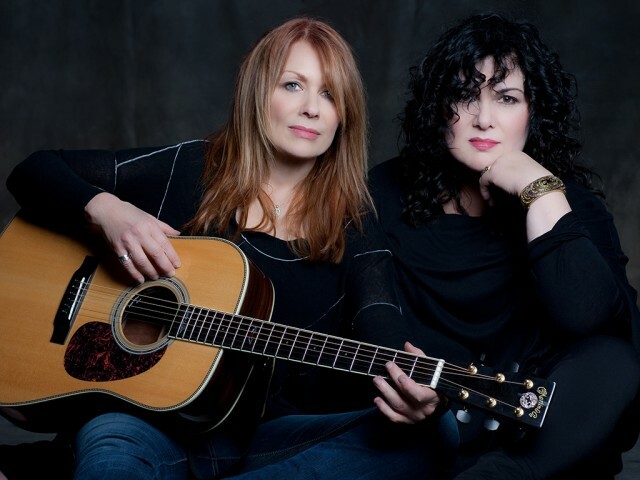 In addition to their own recording careers, the Wilson sisters played a role within the Seattle music scene through their Bad Animals Studio. Artists that have used their studio include R.E.M., Soundgarden, Neil Young, Pearl Jam, and Alice in Chains. When performing for the Rock and Roll Hall of Fame induction ceremony in 2013, the original members of Heart – Ann and Nancy Wilson, Howard Leese, Michael DeRosier, Steve Fossen, and Roger Fisher – all reunited for the first time in 34 years to play “Crazy on You”. In addition, the modern version of Heart joined with fellow Seattle rockers Jerry Cantrell of Alice in Chains, Chris Cornell of Soundgarden, and Mike McCready of Pearl Jam to rock to the song “Barracuda”. Heart will forever be one of the most iconic rock bands and the Wilson sisters are already legendary. The performance and music of Heart will please fans for years to come. Heart’s stage presence and sound fills large theaters, stadiums, festivals, and club showrooms. Classy and professional… they are at the heart of good music.